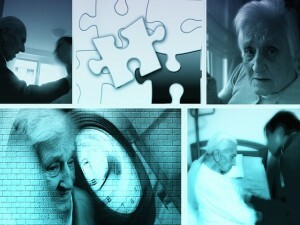 Time and research is required to understand elder care in North Carolina. Individuals starting to explore long-term care insurance may not realize that North Carolina imposes several requirements on insurance providers. These requirements protect the rights of consumers and, in some cases, provide more affordable coverage options. Long-term care insurance policies can help cover the increasing costs of care that seniors may need as they age, care that seniors often either pay for out of pocket or rely on their family members to provide. Coverage and payments towards adult day care, transportation to medical appointments, and both in-home and nursing home care costs may be included in these policies. Long-term care insurance policies often help the seniors live safely in their homes longer, versus moving into an assisted living facility or nursing home. These insurance policies also help seniors receive the care they need while preventing assets from being depleted. 1. No waiting period. When replacing one long-term care policy for another, North Carolina residents are not required to satisfy a waiting period. Concerned about coverage for pre-existing conditions? After six months, 100% of pre-existing conditions must be covered. 2. Home health care options. Long-term care policies may not impose a requirement that all in-home health care to be administered by a Registered Nurse or Licensed Practical Nurse, providing policy holders some flexibility in securing the level of healthcare they need and desire. Policies must provide at least one year’s worth of care coverage and at three different levels. 3. Inflation protection. The North Carolina Department of Insurance requires that all insurance companies must provide “meaningful inflation protection” in their long-term care policies. Additionally, rate revisions must be approved by the policy holder before they go into effect. 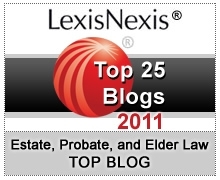 Before choosing a policy, discuss options with a North Carolina elder law attorney. There may be ways to use life insurance to cover the costs of a long-term care policy. A lawyer can also review additional options for covering the costs of nursing home care, offer advice about possible tax credits, counsel how to structure assets effectively, and review prerequisites and waiting periods for public benefit programs.